Michael focuses his finance and accounting capabilities to administer Nous Group’s finance operations and processes. He is experienced in preparing internal reports by analysing financial data that assists management in the formulation of control policies and procedures. Michael also demonstrates business knowledge to identify opportunities for process improvements, and applies his technical skills by creating complex spreadsheets to automate processes. Helped manage the financial data and operation of an internet cafe restoration project from commencement through to the successful delivery of the engagement. Before joining Nous, Michael worked as an Accounts Officer at a boutique IT consulting company. Prior to his finance and accounting career he was an industrial worker within facilities management. Michael volunteered as a computer refit and repair technician for the computer refurbishment program Green PC, which provides computers to charities and low-income communities. 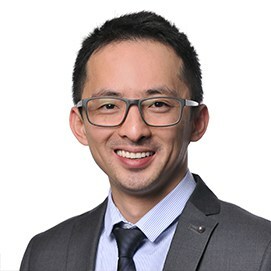 Michael holds a Bachelor of Business (accounting and finance) from La Trobe University and a Diploma of International Business from Melbourne Polytechnic. He is currently working towards becoming a qualified member of Certified Practising Accountant (CPA) Australia. Michael enjoys science fiction movies and books and is fascinated about theories like the Fermi Paradox and the Dyson Sphere. He is an avid supporter of the Hawthorn Football Club.